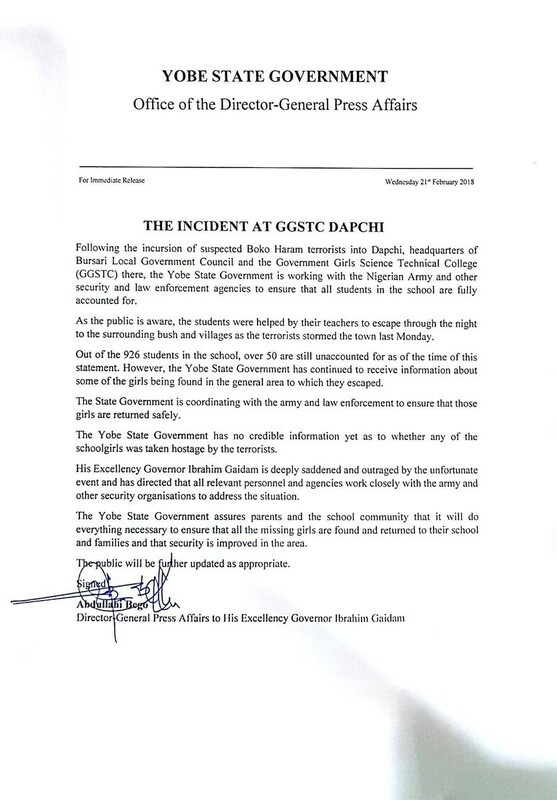 Yobe State government has confirmed the abduction of over 50 schoolgirls from the Government Girls Science Technical College (GGSTC) located in Dapchi, Bursari Local Government area on Monday February 19th. In a statement released by the Director-General Press Affairs of the state governor Ibrahim Gaidam, Abdullahi Bego, they confirmed that over 50 school girls are still missing. Out of the 926 students in the school, over 50 are still unaccounted for as of the time of this statement. As the public is aware, the students were helped by their teachers to escape through the night to the surrounding bush and villages as the terrorists stormed the town last Monday,” the governor said. The state government says it has no credible information yet as to whether any of the schoolgirls were taken hostage by the terrorists. 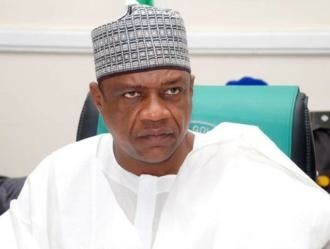 The Yobe State Government is working with the Nigerian Army and other security and law enforcement agencies to ensure that all students in the school are fully accounted for,” Gaidam said in the statement. Governor Gaidam, however, expresseD sadness over the incident. He assured parents of the school girls that they would be found. He says the relevant security agencies have been directed to work towarsd the rescue of the girls.